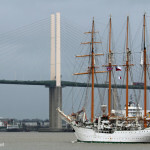 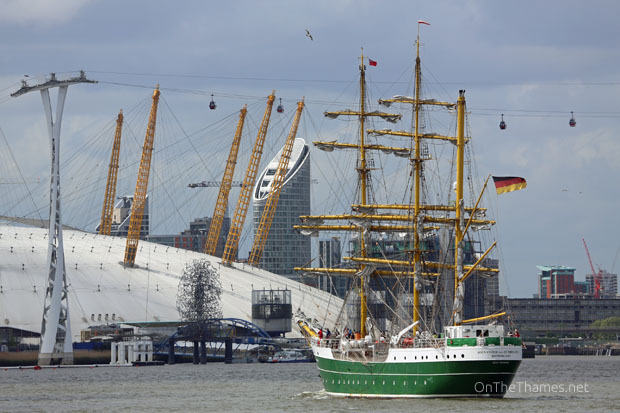 The beautiful tall ship Alexander Von Humboldt II will return to London in May 2015. 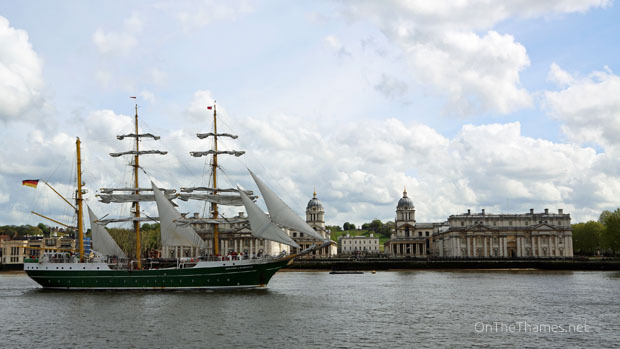 Her visit in 2014 was one of the highlights on the Thames of the year and indeed she was the cover star of the On The Thames 2015 calendar. 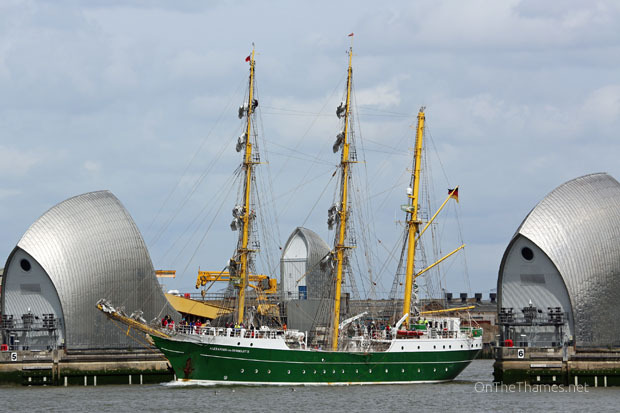 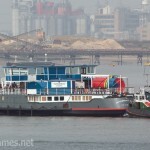 The distinctive green hull of the Alex 2, as she is nicknamed, will be seen making its way up the Thames on May 15th at the end of a scheduled voyage from Hamburg. 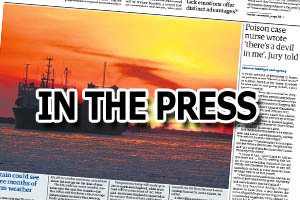 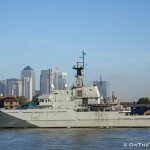 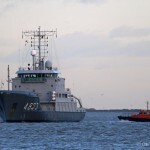 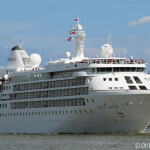 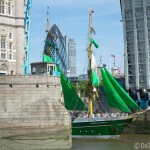 The 65-metre three-masted-barque will moor alongside Hms Belfast in the upper pool before leaving the following day bound for Arhus. 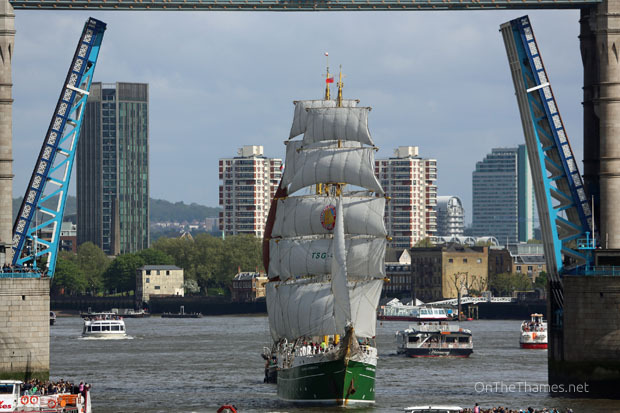 Keep an eye on the Tower Bridge lifts website as the date nears to check the times when you can see the ship transit through the famous bridge.